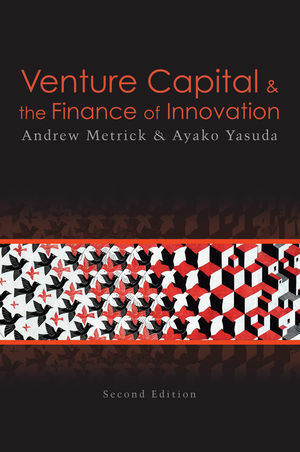 In Venture Capital and the Finance of Innovation, future and current venture capitalists will find a useful guide to the principles of finance and the financial models that underlie venture capital decisions. Assuming no knowledge beyond concepts covered in first-year MBA course, the text serves as an innovative model for the valuation of start ups, and will familiarise you with the relationship between risk and return in venture capital, historical statistics on the performance of venture capital investments, total and partial valuation—and more. Andrew Metrick is a Professor of Finance and the Theodore Nierenberg Professor of Corporate Governance at the Yale School of Management, where he teaches a course in Venture Capital and the Finance of Innovation. He was previously a faculty member in the finance department at the Wharton School of the University of Pennsylvania, and in the economics department of Harvard University. In 2010 he served as the Chief Economist for President Obama's Council of Economic Advisers. Dr. Metrick received a BA in Economics and Mathematics from Yale and a Ph.D. in Economics from Harvard. He has received numerous teaching awards and distinctions, including recognition by BusinessWeek as one of the best teachers at Wharton. Ayako Yasuda is an Assistant Professor of Management at the Graduate School of Management, University of California, Davis. She was previously a faculty member in the finance department at the Wharton School of the University of Pennsylvania; prior to her Ph.D. she worked at the Investment Banking Division of Goldman, Sachs & Co. Dr. Yasuda received a BA and Ph.D. in Economics from Stanford University. She has won numerous research grants and has been published in the Journal of Finance, Journal of Financial Economics, and the Review of Financial Studies. New co-author: Ayako Yasuda is Assistant Professor of Management at the Graduate School of Management, University of California, Davis and former faculty member in the finance department at the Wharton School of the University of Pennsylvania; prior to her Ph.D. she worked at the Investment Banking Division of Goldman, Sachs & Co.
New unified treatment of investment decision making combining total valuation and partial valuation analysis. New web-based model (VCVtools.com) allowing easy visualisation and valuations of multiple term sheets in a start-up. Refined version of “reality-check” valuation model to allow for greater flexibility in growth assumptions. Updated risk-return and cost-of-capital calculations. Updated industry data showing large changes in venture capital investments since 1999. Streamlined exposition of real-options methodology, with new connections to venture capital valuation. Discussion of challenges facing venture capital in the second decade of the 21st century. Innovative model for the valuation of start-ups. The relationships between risk and return and strategy and finance in venture capital. Historical statistics on the performance of venture capital investments. Total Valuation: the data and methods used to value a high-growth company. Partial Valuation: how to visualise and evaluate the special features of VC transactions such as convertible preferred stock, participating preferred stock, payment-in-kind dividends, and liquidation preferences. Framework for modeling investment in "research and development." Cutting edge techniques such as Monte-Carlo analysis, real options, binomial trees, and game theory.